Selectors' Records presents an evening of experimental electronic music with Old Girl and Stefana Fratila. 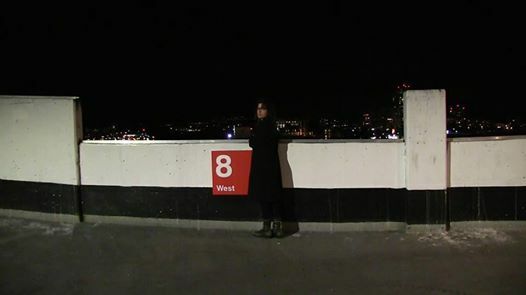 Stefana Fratila is a Romanian-born/Canadian producer and sound artist. In 2014, she released a visual ep, Memory, and her first cassette, Tristă cu Frică, via Genero Sound, a feminist audio collective/label. In 2015, she released her first full-length, Efemera, via imprint Trippy Tapes with distribution by Montreal-based Summer Cool Music. Since 2014, she has been composing for dance and theatre productions as well as creating and performing sound pieces, like “december 6th 1989” (in memory of the women killed 25 years ago at École Polytechnique) and “no history” (as a gesture of bearing witness to ongoing colonial violence and enacting settler-shame). She recently finished her Master's in Political Science at UBC on unceded xʷməθkʷəy̓əm territories. Old Girl is an experimental sound/music project by Nasstasia Ellefsen. Old Girl is the expressive vehicle through which Nasstasia explores themes within the realms of the transpersonal, existential, mystical, psychedelic, Romantic, & esoteric, situated within the experience of outsider reality.